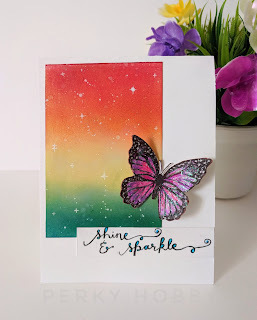 I tried to incorporate rainbow colours in my card and added some sparkle dust to my butterfly (from Mudra craft stamps) and dazzling tiny stars to my background using sakura white gelly roll pen. Finished my card using squiggly handwritten sentiment . Click on the image for closer look. Hope you all liked my card. This is just beautiful! Your background is stunning, but that butterfly really steals the show! Gorgeous! Thanks so much for playing with my Paper Players sketch this week! Thanks so much LeAnne for your kind words 😇😊💕. Thanks so much Maaike for your lovely appreciation 😇😊💕. Raga, your ink blending is fabulous! What a gorgeous, colorful background, perfect for your lovely butterfly. Thanks for playing along at The Paper Players! Raga... fabulous butterfly! WOW! Thanks for joining us at The Paper Players this week! Gorgeous background. This is just the type of thing I love to do and to see. Your butterfly is a stunner and I'm really impressed with your handwritten sentiment - so brave! Thanks for joining us at The Paper Players. Thanks so much Jan for your sweet appreciation. You just made my day 😇💕😊. So beautiful! Love the inky colourful background and the contrasting butterfly is lovely. 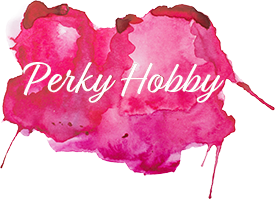 Thanks for linking up and joining in with AAA Cards birthday celebrations! Really pretty. I just linked up a card at WW also pairing a die cut with a rainbowe snippet! Love your beautiful background, so pretty with that striking buttefly. 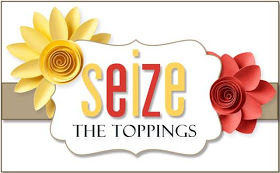 Thanks for joining us at Seize the Bithday. I love the rainbow colours in your background piece, Raga. They show off that gorgeous, sparkly butterfly perfectly. Great clean and simple lines in your card. Thanks so much for joining our Watercooler Wednesday Challenge this week. 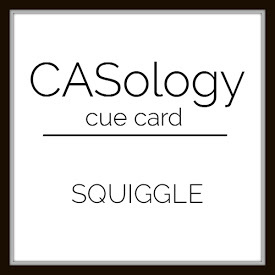 Your card is absolutely beautiful and thanks for joining in the fun at CAS-ual Fridays. 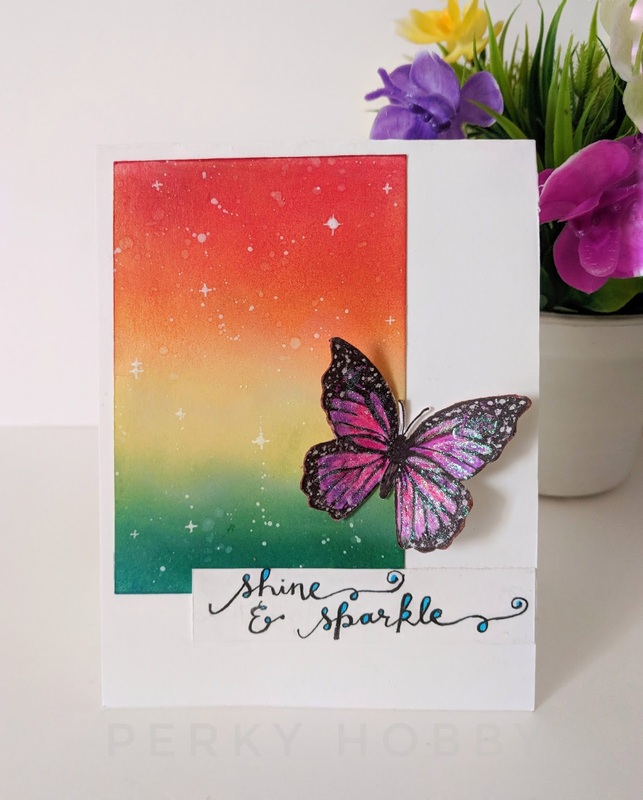 Thank you for joining us at the Sweet Stampers Challenge and i hope to see you agian. 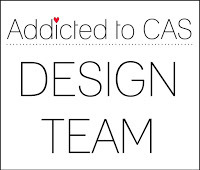 I really like your CAS card. The rainbow background for your butterfly is very beautiful. 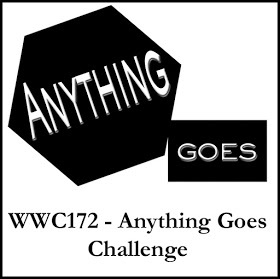 Thanks Raga so much for sharing with us at the ANYTHING GOES Watercooler Wednesday challenge this week. Very pretty! Thanks for playing along at CAS-ual Fridays Birthday Challenge. 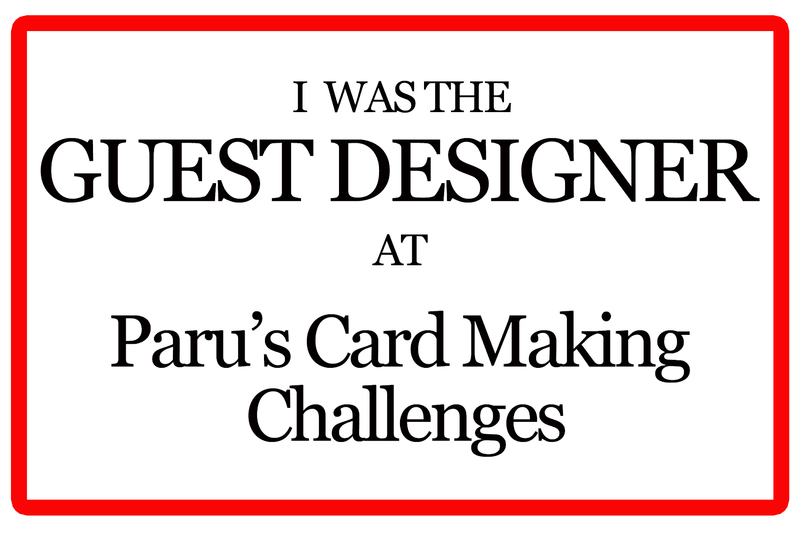 Wow, your card is stunning! 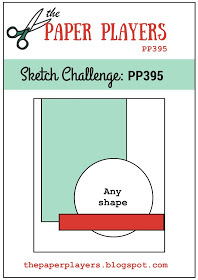 Thanks for joining us at Sweet Stampers Challenge, good luck! 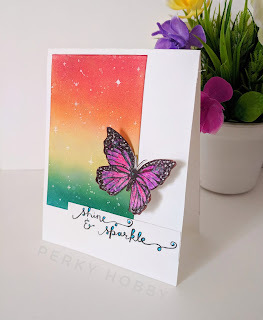 Hello... it’s so lovely to see you have shared one of your gorgeous cards with us. 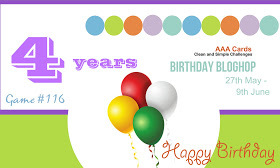 Thanks for entering your lovely colourful card into our ‘Happy Birthday’ Challenge. Good luck in the draw and hope you will come back again soon.